The Hype - The seller claims his HGH product is FDA approved. 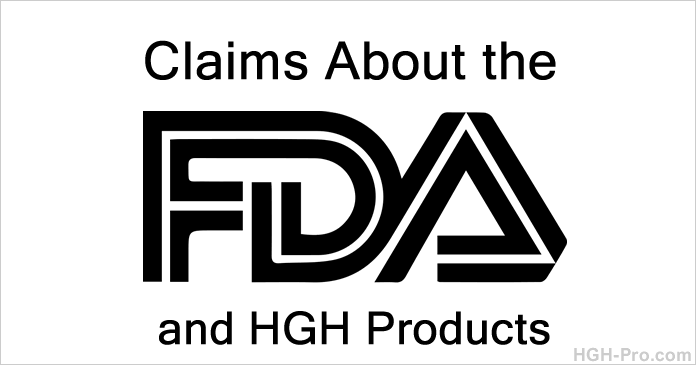 The Truth - The synthetic human growth hormone itself, that is used in some homeopathic HGH sprays to make the homeopathic formula is FDA approved, if the source is legitimate U.S. pharmaceutical grade, but that does not make the products themselves FDA approved. The FDA does not give natural health products and dietary supplements the title of FDA approved. Only pharmaceutical drugs that are created in a lab are given this title, after they have gone through extensive testing to supposedly ensure that the possible benefits outweigh the possible risks. Even though natural health products cannot be and do not need to be FDA approved, the FDA may register some homeopathic products if the products meet the FDA's strict guidelines. The Hype - The seller claims that his HGH product is the only one that is registered with the FDA and has an expiration date, or he claims his is the only product that is made in an FDA approved lab, or is the only one that has an NDC number. NDC is the abbreviation for the FDA's "National Drug Code" System. 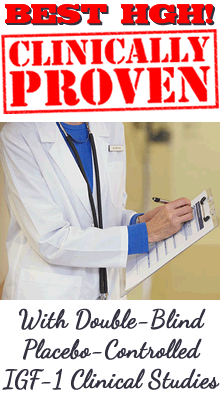 The Truth - Our ProBLEN homeopathic products are FDA registered and are made in the U.S. in an FDA approved lab. Our products each have their own NDC number, and each bottle has a lot # and expiration date. The purpose of the NDC is to provide the commissioner of the FDA a current list of all drugs manufactured, prepared, propagated, compounded, or processed by a drug establishment registered under the Federal Food, Drug, and Cosmetic Act. The act requires submission of information on commercially marketed drugs and is used in the enforcement of the Federal Food, Drug, and Cosmetic Act. FDA approved labs must follow the strict guidelines of the FDA, which require a lot number and expiration date be displayed on every bottle. Please note: Not all homeopathic HGH sprays are FDA registered, in fact most are not. All the products that are digested, the pills, capsules, tablets, and powders are dietary supplements, and fall under the FDA's food laws, they are not registered and do not have a National Drug Code number.